Record and Publish 50 Episodes of Startup Q&A – In early December, I started publishing a weekly online video show and podcast called Startup Q&A with Matthew Paulson. This show consists of me answering viewer questions about startups, entrepreneurship and wealth building. My goal is to publish a total of 50 episodes of this show this year and re-evaluate whether I want to continue the project after that. Earn $10,000 Per Month from Book Royalties – I’ve put a lot of focus into my small publishing business in the last year. In December, I hit a new high and earned more than $6,000 in a single month from publishing books. I plan to grow this to $10,000 per month by the end of 2017 by publishing at least two new books in early 2017 (Online Business from Scratch and Earn Extra Income), as well as publishing two book bundles (multiple books sold as one Kindle e-book). I may also be pursuing a new book with a co-author, but that has not been finalized yet. Hit the Inc. 5000 List for the Second Year in a Row – Last year, MarketBeat ranked #529 on the Inc. 5000 list of fastest-growing privately-held companies in the United States. We hope to hit the list again this year. We probably won’t be in the 500’s this year, because it’s much harder to grow a business by large percentages when you’re already at seven figures in annual revenue. However, we should still easily make the list and have a healthy ranking. Become Totally Financially Independent – For the last several years, I’ve been working on building an income-generating investment portfolio that can provide for my family’s living expenses. This portfolio of dividend stocks, municipal bonds and other income-generating investments currently covers about 65% of our family’s living expenses. By the end of 2017, my goal is to have our investment portfolio cover 100% of our family’s living expenses. I have absolutely no plans to retire when I achieve this goal, but it will be nice to have the security of not having to rely on business income to live off. That security will give me the complete and total freedom to only work on the projects that I am most passionate about. Lose 15 Pounds of Unnecessary Body Weight – This is going to sound really, really cliché. I am going to lose 15 pounds by the end of the year and keep the weight off. I was at about 178 pounds early in the fall and currently weigh around 170. I’m not hugely overweight, but my stomach sticks out farther than I’d like it to and it’s time to act. I am going to accomplish this goal by continuing to exercise regularly, using the My Fitness Pal app to track my consumption of food, and eating fewer than 1,800 calories each day. Take Two Family Vacations – Some of the most fun that Karine and I have is when we travel. Last year, we didn’t get to take a real family vacation due to the arrival of our daughter Adylin. We’re going to make up for it this year by taking two big family vacations in 2017. We are already planning a trip to Orlando in February to spend some time at Disney World, and we’re hoping to take another big trip in the fall. See a Taping of the Late Show – I’ve been a fan of Stephen Colbert’s for years, but have never made it out to New York City to see his show. 2017 is going to be the year that I find time to fly to New York City and see a live taping of The Late Show. Attend Four Business Conferences (and Speak at Two of Them) – I’ve wanted to get a bit more into speaking at conferences. This is the year I hope to make that happen. I currently have plans to attend at least four conferences in 2017 and I hope to be invited to speak at at least two of them. Make Four Angel Investments Through Falls Angel Fund – Falls Angel Fund is finally operating at full capacity and we will hopefully soon make our first investment. We plan to hear at least 12 pitches in 2017 and I hope that we can make at least four investments this year. Amazon Merch – This is a relatively new program from Amazon that lets anyone sell t-shirt designs through Amazon.com. My friend Elaine is currently making a five-figure monthly income by selling t-shirt designs through Amazon Merch. I think this is a great opportunity for anyone with design skills to create passive income in 2017. The challenge with Amazon Merch is that it’s difficult to get approved for an account right now. Serving on the Board of Directors of a Startup – I’ve served on a few non-profit boards over the last decade, but have yet to serve on a board of directors for a for-profit company. I am interested in finding a local startup to invest in and serve on their board of directors. I think this would be a valuable learning experience, given my ongoing interest in business development. Launch an Online Course – I’ve published a ton of content in the last few years, but have never created an information product (outside of MarketBeat) that I charge more than $10.00 for (my books are just $9.95 at the most). This is mostly because I feel like there are already far too many online courses that teach internet business and there are far too many “gurus” teaching people how to make money online. However, I’m beginning to think there’s an opportunity to help a lot of people achieve financial freedom and generate some revenue using an online course as a medium. Web Push Notification Startup – I’m incredibly bullish on web push notifications as a technology. There are currently several companies in the space (PushCrew, OneSignal, etc.). However, none of them have created a solution that does what a top-tier email service provider does for the technology of push notifications. These services do a good job on the technical end — collecting subscribers and delivering messages — but the composition workflows, scheduling tools, segmentation tools and analytics with these services are lacking. I think there’s an opportunity to create the MailChimp of web push notifications. I’m not sure if I will be the person to try to create that business, but it’s a big area of interest to me. 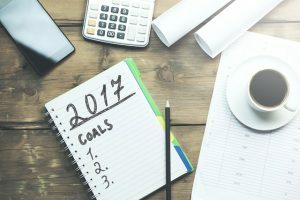 What goals have you set for yourself in 2017? Please comment below! T&C, Microconf, Rhodium (50/50 on this) and Freedom Fastlane Live. On a recent podcast (self-made?) I heard that Mbt makes 80% margins on 3+. Question, why bother with anything else? And when did you decide just to focus on that because you’ve had a portfolio of some 30-40 websites … (like most webpreneurs who can come up with ideas in their sleep and knock together a site in less than 1 week) that would have distracted you over the years. Also, what’s so special about Mbt … it’s just repackaged data from the floor, right …. my guess, is that there’s nothing that Mbt offers that you can’t get elsewhere; what’s different though is that your years at the coal face has turned you into an internet marketing genius. #1 – I would get really bored if MarketBeat was the only thing that I do. #2 – You assume MarketBeat is successful because of what you see. Sure, MarketBeat’s got a lot of the same types of financial data that other sites do. That’s not what makes it special.